Our nutrient rich, buildable foundation will give you the coverage you need while staying light and airy as if you are wearing nothing. 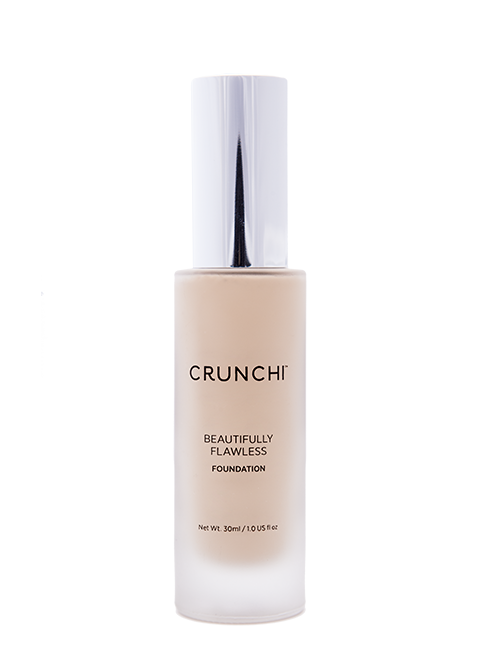 "Not only is this hands down the best foundation I have discovered since transitioning to green beauty, it is BETTER than the conventional brand I wore for years!" - Sarah A. 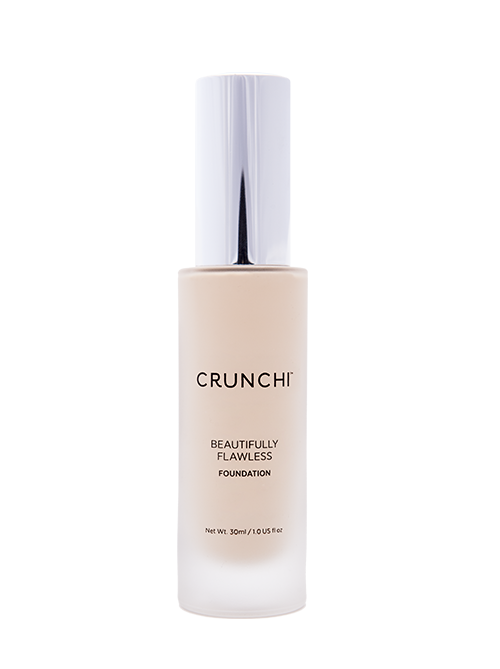 Our toxin free formula performs all day without putting your health at risk, allowing you to never compromise your health for beauty. Vitamins C & E provide antioxidant-rich coverage while soothing Aloe Leaf provides the perfect lightweight moisture ideal for all skin types. 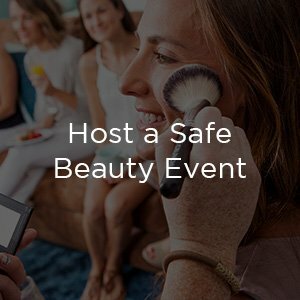 Healing Lifestyles Earth Day Beauty Award Winner for Best Foundation. We are Leaping Bunny Certified and are a completely cruelty free company. 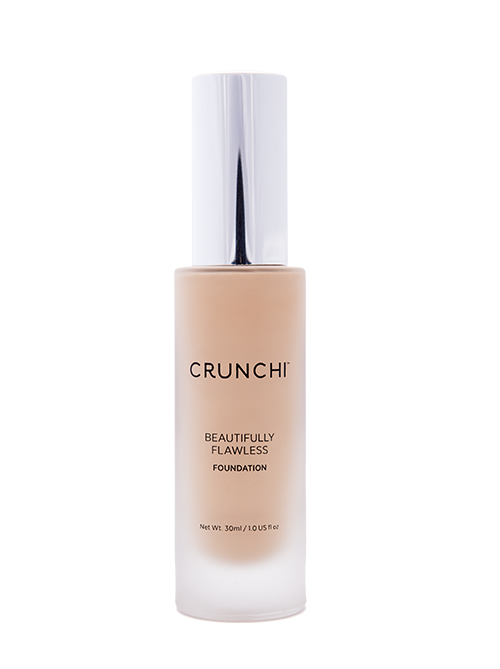 Our liquid foundation comes tightly sealed in an eco-friendly, glass bottle giving you the confidence it will remain toxin free. Pair with our exclusive Crunchi No. 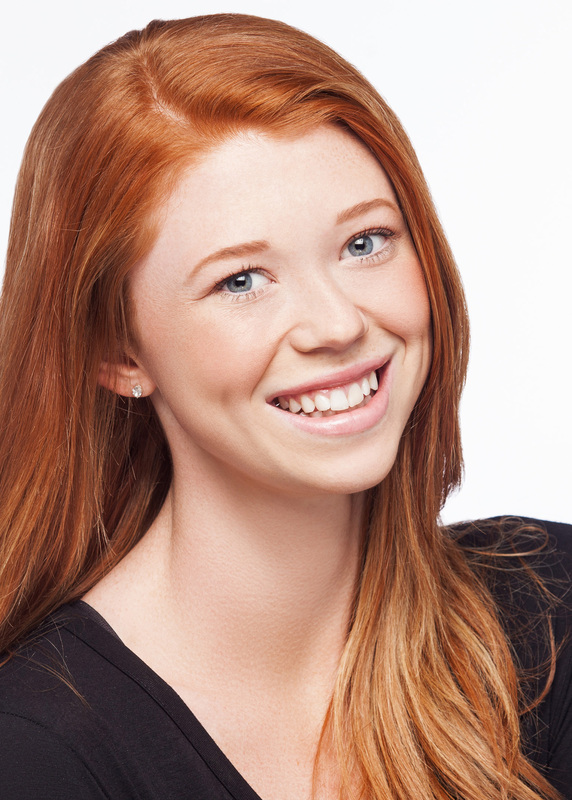 1 Flat Top Brush for an all day airbrushed appearance with minimal effort. 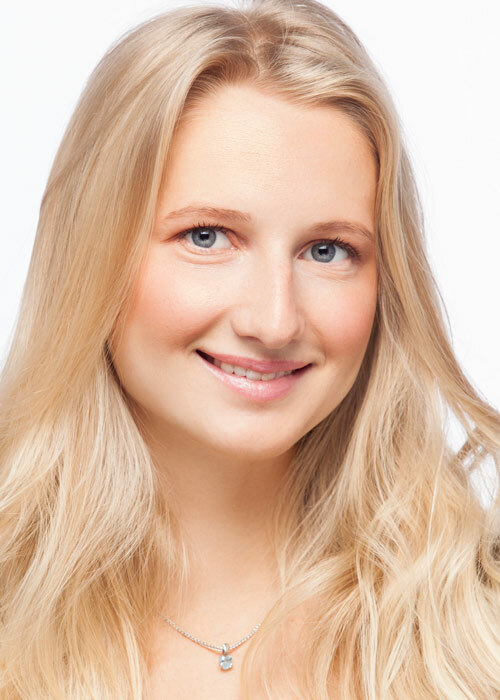 Fair complexion with a neutral balance of pink and yellow undertones. Best for porcelain skin types. 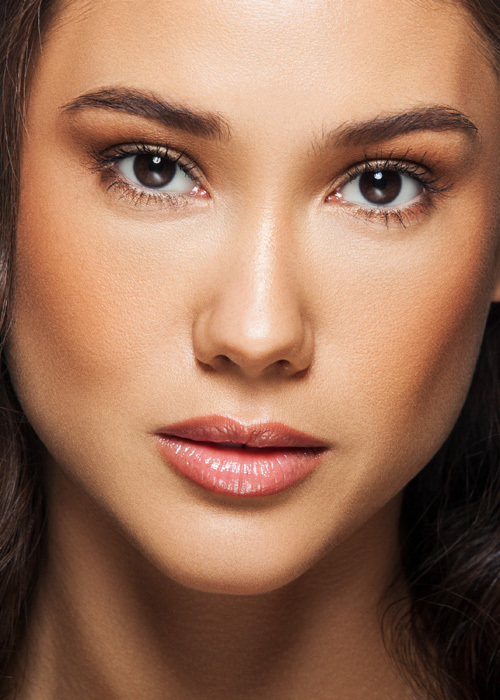 Please note this shade is the first lip gloss in our new enhanced packaging! The same great formula, but in an improved, eco-friendly glass tube! Don't know your shade? 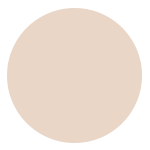 Try our Foundation Shade Matching Sample Card! I've tried a lot of cleaner products and this one is by far my favorite. 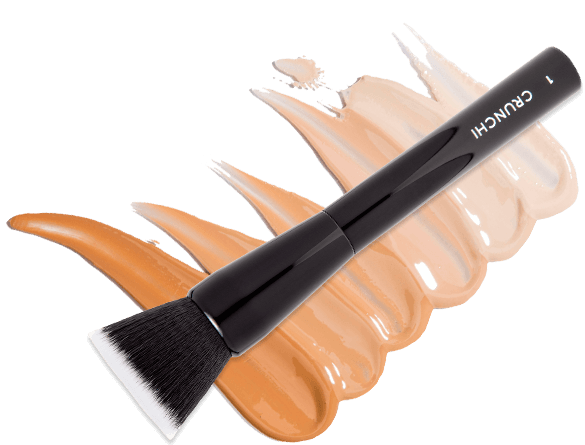 I use a foundation brush and it goes on smoothly and evenly. 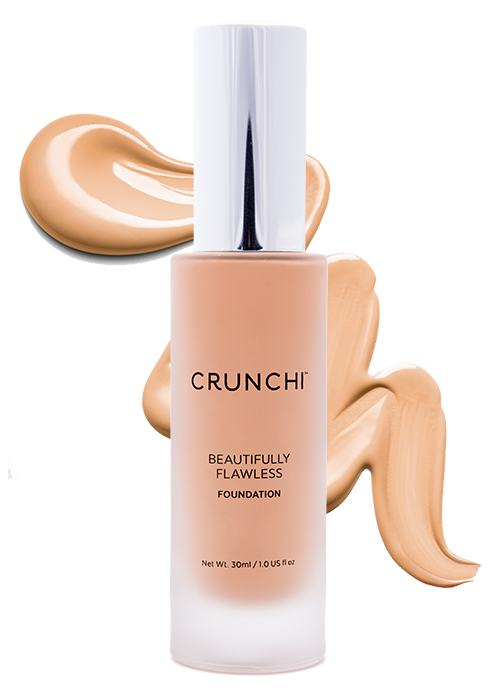 Going Crunchi has never been easier, with our nutrient-rich, lightweight medium to full coverage, buildable foundation. Vitamins C & E provide antioxidant-rich coverage while soothing Aloe Leaf gives a lightweight moisture, perfect for all skin types. 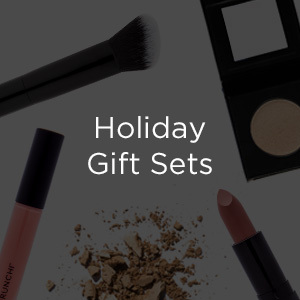 We also recognize that it is not only what goes in the package, but the package itself. 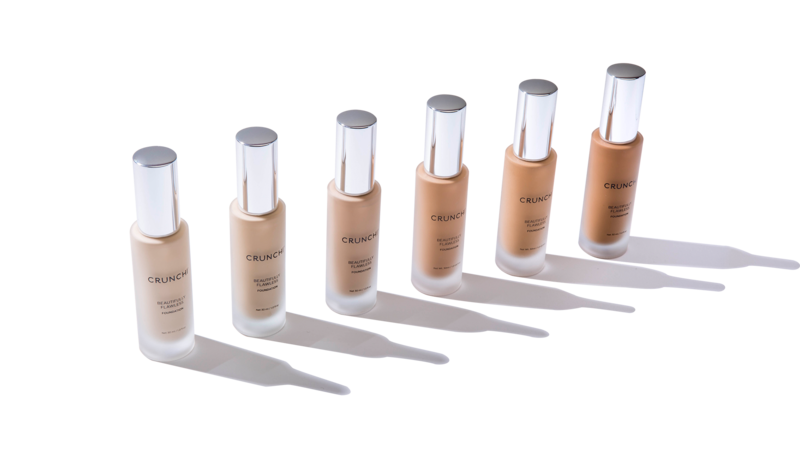 All of our liquid foundations come tightly sealed in an eco-friendly glass bottle, giving you confidence that it will remain toxin free. 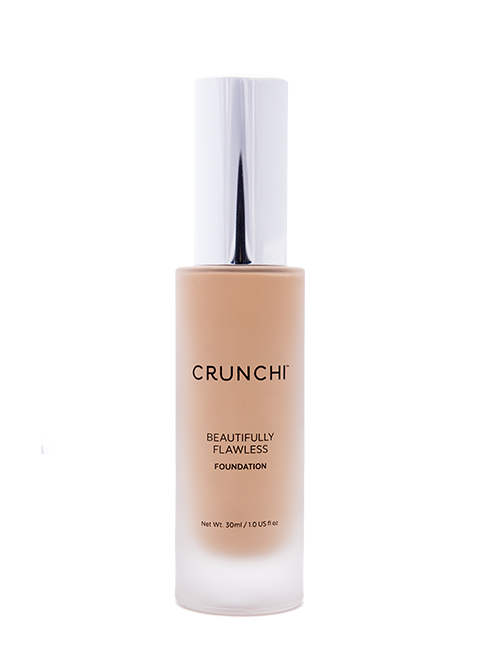 Pair with our exclusive Vegan Crunchi Flat Top Foundation Brush for all day airbrushed appearance with minimal effort. 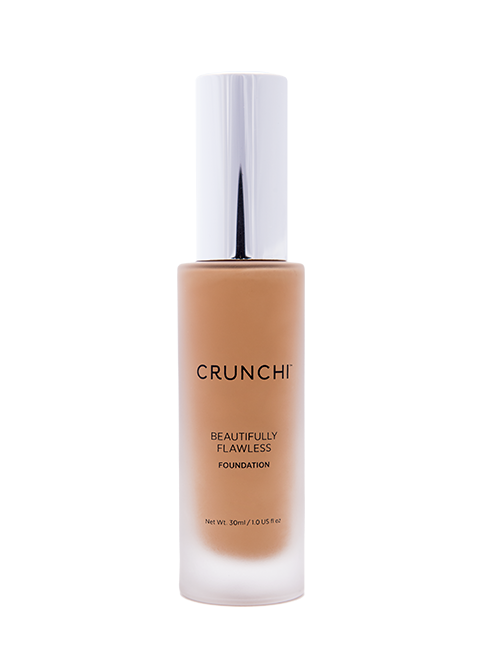 For best results use with the Crunchi Vegan Flat Top Foundation Brush. 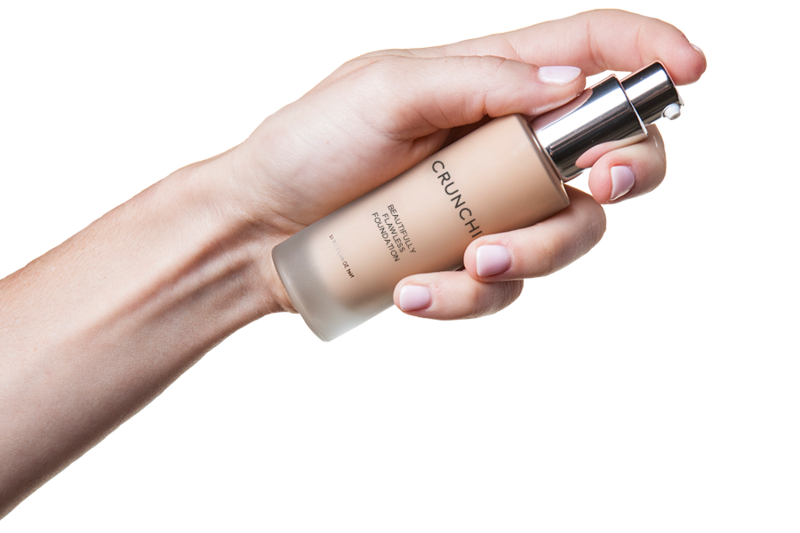 Pump foundation onto the brush or the back of your hand. 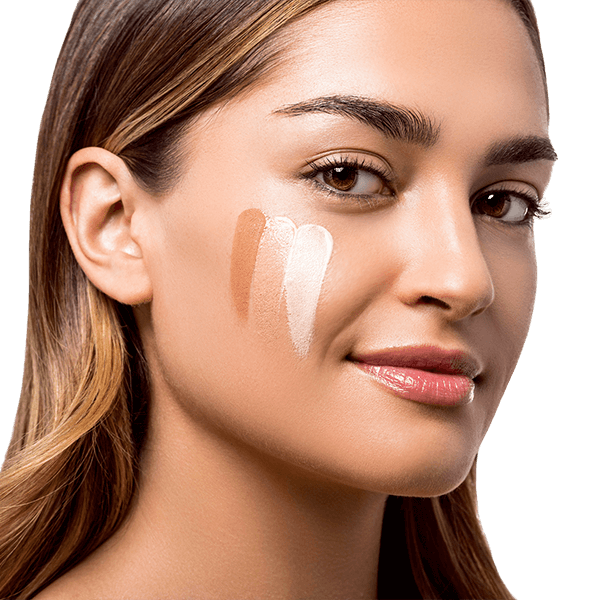 Continue to layer until you achieve your desired coverage. For best results start with the Smart Primer and set with the Translucent Finishing Powder.